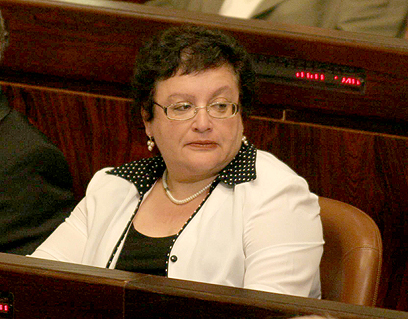 Former Knesset Member Dr. Marina Solodkin passed away on Saturday at the age of 60. Solodkin died at a hotel in Riga where she was attending an anti-fascism conference. The former MK was found dead in her hotel room several hours after she was due at a TV studio. The cause of death remains unclear, but it is suspected she suffered a stroke. The Israeli consul in Latvia is handling the transfer of her body to Israel. 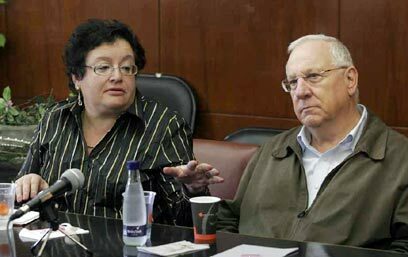 Prime Minister Benjamin Netanyahu expressed deep sorrow over Solodkin's death and said: "She was a principled representative of the people." On Friday, Solodkin posted the following message on her Facebook page: "In a few hours I will board a plane to Latvia in order to attend a conference organized by the Latvian Anti-Fascist Committee. On March 16, Latvians who served in the Waffen-SS during World War II will hold a march in Latvia. "I will participate in a round table discussion with the European Union and international organizations such as World Without Nazism, as well as lawmakers and public figures from around the world. Neo-Nazism has been rearing its ugly head in Eastern Europe recently. We must be on our guard." Born in Moscow in 1952, Solodkin earned a doctorate in the history of economics from the Moscow University, before immigrating to Israel in 1991. In Israel she worked at the Hebrew University's institute for Russian Studies and published a book on Jews in the Soviet Union in 1996. That year also saw her elected to the Knesset where she served as an MK until January 2013. Last December, Solodkin announced she will not seek elections as part of the Kadima party. Solodkin, who is the veteran of five House terms, was slated ninth on Kadima's roster. The party's dismal performance in the polls indicates that it may only barely pass the electoral threshold. 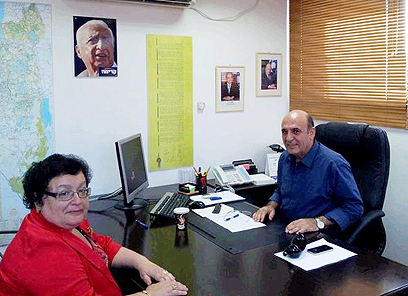 A long-time champion of immigrants' rights, Solodkin told Ynet that her position on the list was akin to "spitting in the face of integration." Solodkin entered Israeli politics in 1996, as part of the Yisrael BaAliyah Party, which merged with the Likud in 2003. In 2005 she joined Ariel Sharon and made the move to Kadima, as its fourth MK. Her Knesset terms saw her serve as deputy immigration and absorption minister twice, and as chairwoman of the Knesset's Committee on the Status of Women. Israeli officials received the news of Solodkin's death with great sorrow. Prime Minister Benjamin Netanyahu expressed said: "She was a principled representative of the people, who was always attentive to Israelis' problems." Netanyahu added that "in her humble and honest way she cared for citizens' welfare and especially tended to olim's problems. I liked and appreciated her and she'll be missed by all of us." Knesset Member Tzipi Livni said in a Facebook post: "Marina was a true Zionist, a veteran immigrant who never forgot the daily hardship experienced by olim. "Her door was open to everyone, she never hesitated to express her opinions on any issue. May she rest in peace." Labor Chairwoman Knesset Member Shelly Yachimovich commented: "She was a brilliant and extraordinary person with a sharp tongue." Yachimovich added that "she personally helped thousands of people and was a wonderful partner. The public lost a great parliamentarian, attentive to any distress and suffering." See all talkbacks "Former MK Marina Solodkin dies in Latvia"